Stage musical adaptation of H.G. 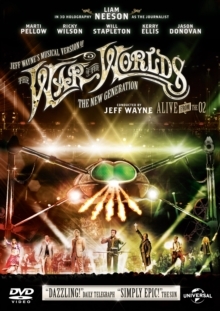 Wells' alien invasion novel, recorded live at London's O2 arena in 2012. 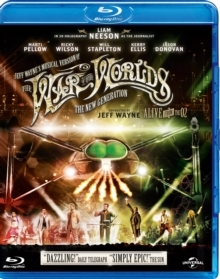 The reimagined story, which was first released in 1978 as a concept album by Jeff Wayne, is narrated by Liam Neeson and includes performances by Jason Donovan, Marti Pellow and Ricky Wilson.